We usually think that people who snore are heavy sleepers. Unfortunately, snoring doesn’t mean sweet dreams. It points out that there are underlying health problems you should be concerned about. This sleep disorder can have many negative effects on us if we don’t find out the cause and don’t treat it. A person who has a problem with snoring can have several episodes of breathing interruption over the night. Individually, these ‘gaps’ can last a whole minute. These sleep variations lead to the lack of oxygen in the blood. And we know this element is essential for performing all vital processes in our body. Snoring and diseases of the cardiovascular system are linked in many ways. The lack of oxygen because of the interrupted breathing affects all organ systems. This element doesn’t reach the tissues and doesn’t feed them. It caused the condition known as hypoxemia (read more about this on this page). The weakness of the heart, which is the ‘engine’ of our body, happens because of the reduced oxygen flow through the body. This condition is the trigger for almost all diseases of the cardiovascular system. A heart of a snorer has to work faster to make up this deficit. That’s why people who snore have difficulties to catch the air and usually have diagnosed with high blood pressure and arrhythmia. 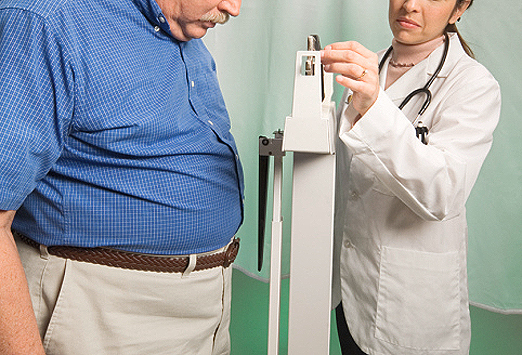 Both snoring and cardiovascular issues are common in obese people. Even the risk of getting obese is higher in people who snore. Because constant fatigue and reduced quality of life, their nutrition is poor and low in nutrients. Excessive pounds and fatty layers affect the functioning of the upper respiratory tract – that’s why snorers release those annoying sounds. Good night rest is of great importance for mental health. Any disorder of an established sleep pattern may cause some form of psychical disorders. Less sleep can affect the functioning of our central nervous system. Unlike us, our brain doesn’t rest over the night. It works on ‘summarizing’ our new experiences, knowledge, and information, so night rest is crucial for a healthy memory, decision making function, and learning ability. Anxiety and depression often occur in people with sleeping difficulties. Without a quality rest, we aren’t able to deal with stress and everyday duties. Also, the social life of people who snore can be troublesome. Snoring can negatively affect family relations, love relationships, but also sexual life. Over the time, people become desperate because of the restless nights, and they look for a fast solution to their problems. Initially, what they can do is to look up the top anti snoring devices reviewed by experts on the internet and do their research. In that way, they can give themselves a better idea on how they could put an end to the snoring. When we are depressed and unhappy, we reach for food as comfort. Poor sleeping is usually the reason why we, when tired and grumpy, eat whatever we found in the fridge. Uncontrolled food intake has many harmful effects on our health, and gastric acid disbalance is just one of them. Reflux is a common and quite unpleasant condition in snorers. They have this problem due to breathing ‘gaps’ happening over night. This ‘gaps’ cause pressure changes, which can return the stomach contents back to the esophagus. This condition is known as heartburn – the feeling of burning and scratching all over the chest. Undigested food can cause vomiting and swallowing issues. This usually happens at night, when the snorers are in a laid-back position. This way, they fall into the vicious circle of disorders that will worse unless they work on the primary cause. In some situations, snoring can be life-threatening. Many sleepless nights lead to the chronic fatigue. When we are tired, our concentration ‘hits the bottom,’ and the risk of injuries increase. People who spend a lot of time behind the wheel or work highly responsible jobs are in the risk group. Chronic snoring can have long-term effects on the quality of our life. Disturbed relationships and diminished work performance can only worsen already bad psychic state of the snorers. Therefore, people with this problem should work on the snoring issue before it ruins their health.